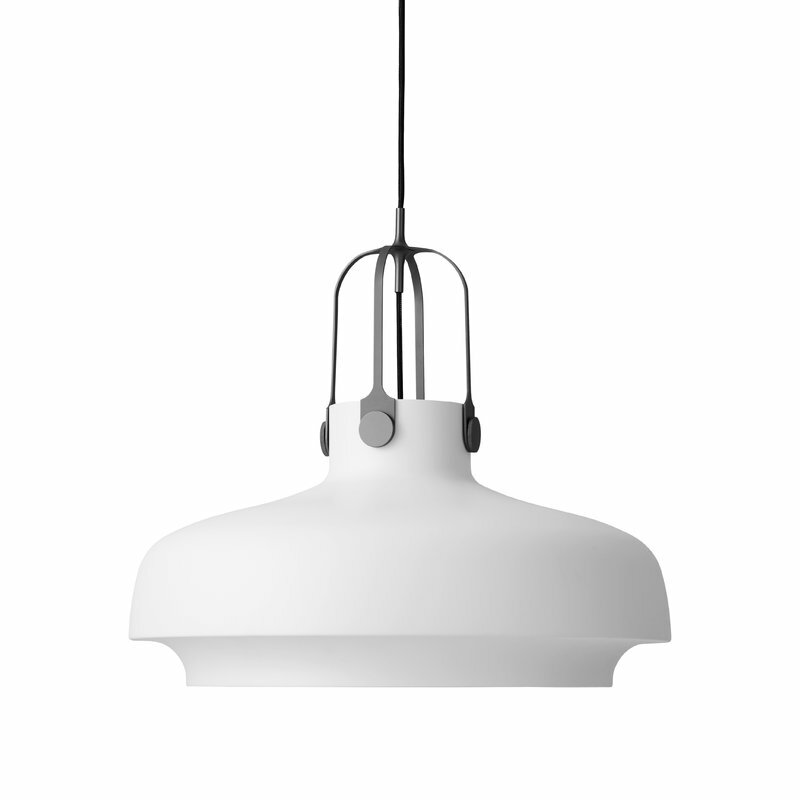 The Copenhagen pendant lamp designed by Space Copenhagen for &Tradition reflects light from both its top and bottom. The lamp shade is widest in the middle and it narrows at the open top, allowing the light flow through it. 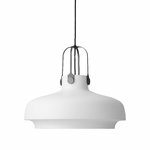 The Copenhagen pendant lamp was inspired by maritime gas lamps, and the end result is a classic but still a modern lamp. The Copenhagen pendant is made of lacquered metal.